Madison and I dressed up as foxes for Halloween. She was absolutely adorable in her costume! We spent Halloween with some good friends (our babies were born only one day apart!) and the little ones had fun hanging out...and banging on the window, haha. Look at that cute little tail! We went to a pumpkin patch last week. I have enjoyed doing that before, but it's so much more fun with a baby! I can't wait until she's old enough to get excited about going. Holidays are going to be like that too and I'm really looking forward to celebrating with her. Here are a few pictures from our time there (of course they are all of Madison). She's getting better at standing without assistance, but she's not walking yet. She kept trying to eat the corn kernels. I love how blue her eyes look here. She loved the goats! I think they reminded her of our dogs. By the way, how creepy does this scene look? It reminded me of something straight out of a horror movie, so of course I couldn't resist taking a picture and sharing the creepiness with you all. I've wondered if I should continue this blog since life seemed too busy to give it any time. However, it's a fun and creative outlet for me so I will definitely be keeping it around, and hopefully posting more often than once every 6+ months! Plus I want to share my experiences as a new parent (and working mom!) and hopefully help others with what I've learned. Besides baby girl, another thing that makes blogging difficult is that we are in transition. We are building a new house (yay!) and trying to sell our current house (boo!) and living life very minimally with most stuff in storage to keep the house show ready at all times (double boo!). I will be very happy when this process is over. Halloween is my favorite time of year and now that I have a mini me to dress up, it's even more fun! Here is her first costume. 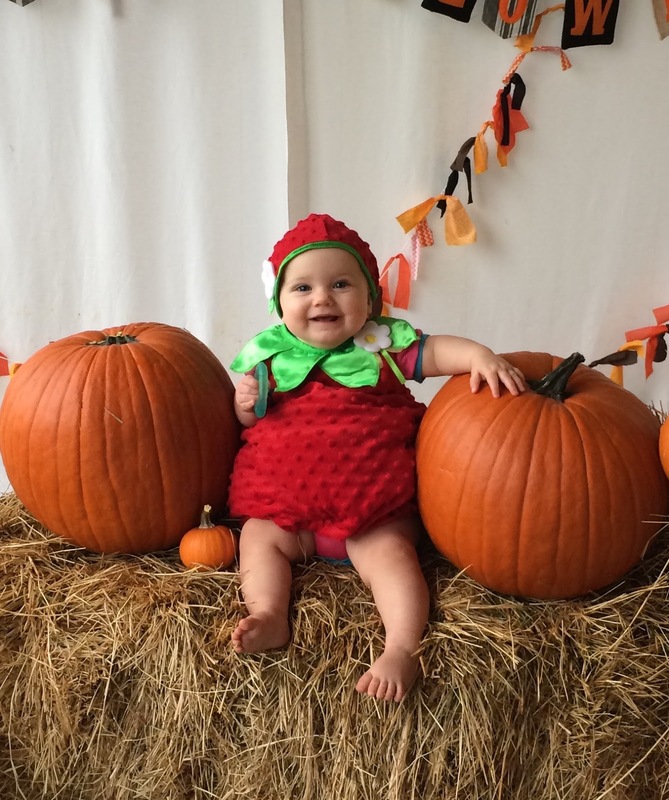 We received this strawberry costume at one of her baby showers and she couldn't be cuter! Hi! I'm Erika and this is my diary in pictures of the outfits I wear. I hope to inspire you and others with the outfits I put together as I have been inspired by my favorite fashion blogs. 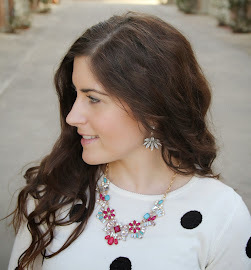 Visit Erika's Style Diary's profile on Pinterest. Disclosure: Clicking on the links provided could result in commission for me. I only provide links to items that are featured in that post or are relevant to the content within.